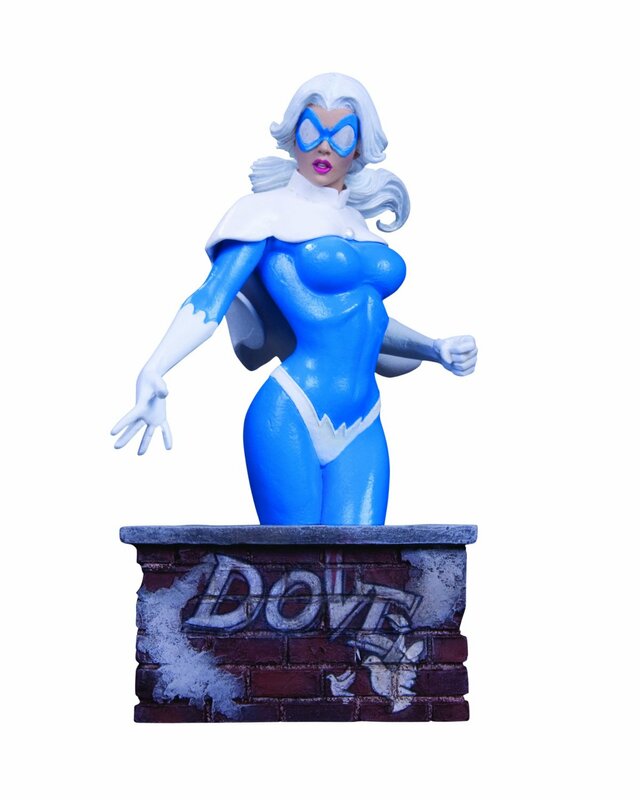 As one half of the Hawk and Dove team, Dove battles evil with a softer edge than her counterpart. Dove (aka Dawn Granger) made her first appearance in the Hawk and Dove mini-series in 1986. This is a great addition to the Women of the DC Universe bust series. Designed by Amanda Conner and sculpted by Karen Palinko, this hand-painted cold-cast porcelain statue measures approximately 5.5" H x 3.75" W x 3.5" D.